Packed Up – Where Is My Teaspoon? You all know how much I love a good picnic and this weekend was no different. I’m trying to use my picnic basket as much as possible so we had picnic for dinner on Sunday night. It’s just nice to get out of the house and away from technology in the evenings and it’s a great way to end the weekend too. 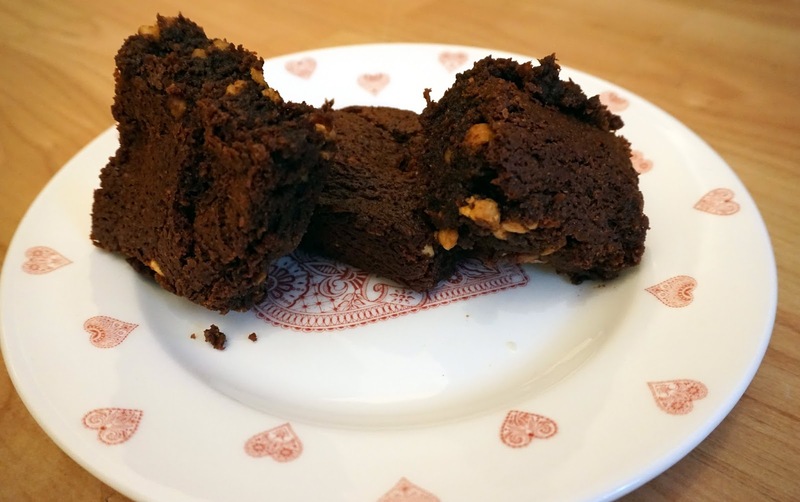 I always like to include something sweet for a picnic and it usually comes in brownie form! 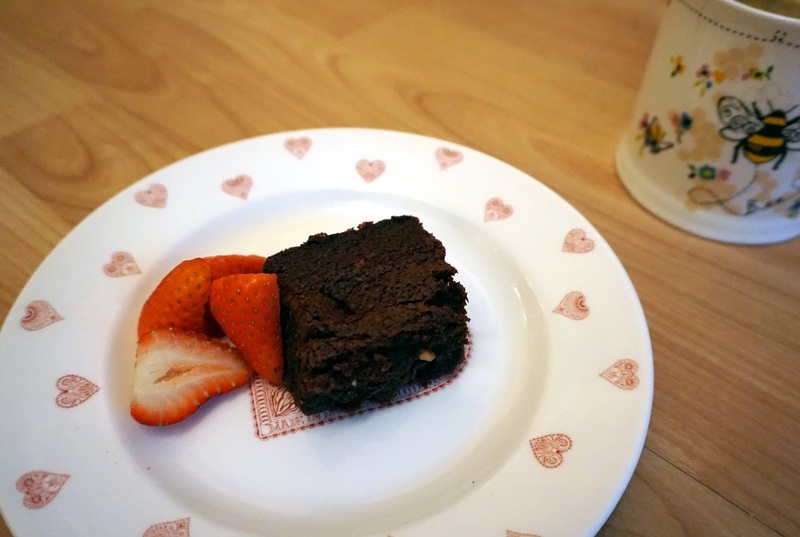 For this picnic, I made Peanut Butter & Chocolate Brownies with Strawberries. The strawberry halves are added just before baking and give it a peanut butter and jam type flavour – yum. Grab your brownie tin, line it and preheat the oven to 190 degrees. Melt the butter and chocolate together in a bowl over some simmering water. Add half a jar of the peanut butter and mix well. Weigh out the sugar and add this to your chocolate mix. Using a wooden spoon, beat in each egg and mix thoroughly between each one. Sieve in the flour and cocoa powder and stir until it is fully mixed through. Pour the brownie mixture into your prepared tin. Take a spoon and add plops of random peanut butter to the mix – try to do some big and some small. Wash the strawberries, take the tops off and cut into halves. Place the halves randomly in the brownie mixture making sure they are covered and not seen. Bake in the oven for 30 minutes and leave to cool in the tin for a few minutes before turning out. These brownies are best eaten cold so I normally just let them cool in the tin until they are solid enough to take out and them pop the whole lot in the fridge before cutting into pieces. If you rather them baked a little longer, try 35-40 minutes. These should keep in lunchboxes for a whole week in the fridge..if they last that long! Next Post Classic Victoria Sponge Cake Recipe.